Nicely executed packaging — but possibly the worst name for an alcoholic product ever. Cirro? Anyone for a bottle of Cirrhosis? Literally, ill-advised. It looks lovely and fresh, very NZ… land of the long white cloud! 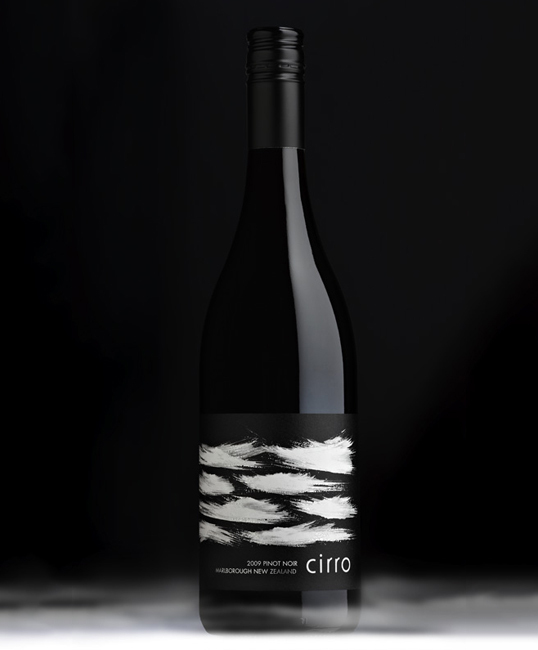 … Also cirrocumulus is whispy broken cloud formations at high altidtude… very apt for the wine region. wine bottles are so mundane. most of the wine bottles posted on this site fail to utilize the bottle itself and integrate it into the design. I agree Anna very clean and fresh feel. For Marlborough NZ couldn’t be more apt with the name for the cloud types in the region over the Alps and sounds. 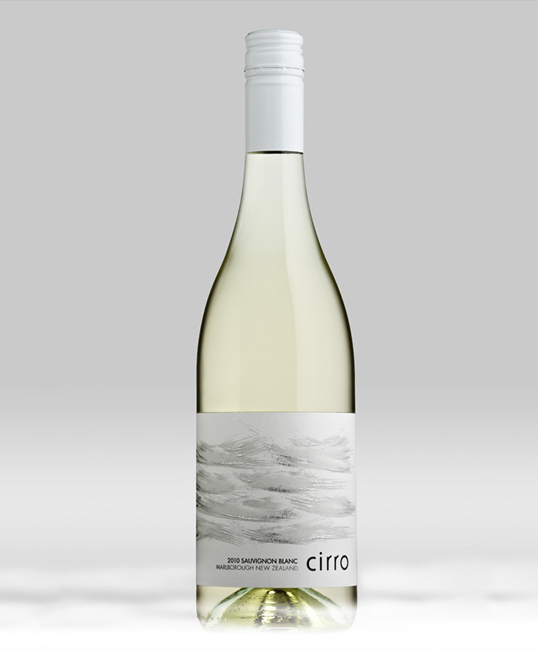 Cirrocumulus, Cirrostratus…The labels have a real sense of style and simplicity, love the use of foil off the clouds, nice touch.